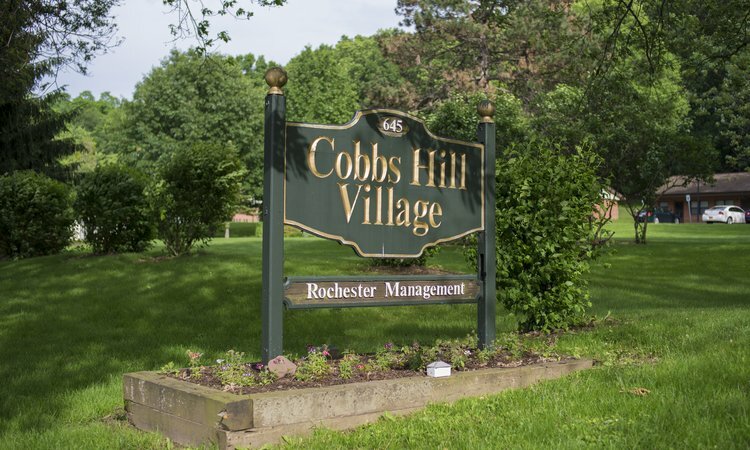 I want to thank everyone that has gotten involved in the debate over Rochester Management’s Cobbs Hill Village proposal, including the Cobbs Hill Coalition, dozens of neighborhood groups, and affordable housing advocates throughout our community. Their passion and advocacy has led to some very critical conversations about housing, development, and community engagement. I will work to amplify these conversations and ensure that this type of public discourse helps to shape our city’s future. The passion and advocacy regarding the Cobbs Hill Village proposal has also made it a significantly better project. It led to an improved design and more affordable rents. Though it isn’t perfect by any means, I plan to vote in favor of this proposal because it will benefit low-income seniors in Rochester. I’d like to share my reasons for voting yes, and clear up some misinformation about the proposal. The current Cobbs Hill Village apartments are no longer suitable for seniors. There has been considerable debate over whether or not the current units are structurally sound. This obscures the larger point: these units were built in the 1950s, and do not accommodate the needs of today’s seniors – especially those with limited mobility. The doorways are hardly wide enough to allow wheelchair access, and there is not enough room for tenants with walkers to have a turning radius. We need quality senior housing designed for seniors. This project does not gentrify the neighborhood, and will enforce income qualifications in order to ensure that Cobbs Hill Village is socio-economically diverse. Currently, anyone earning under 80% AMI can rent units at Cobbs Hill Village. The facility has 30 “Extremely Low” (30% AMI) units, but tenants do not need to income-qualify for those units because of the original NYS Mitchell-Lama laws. The new facility will have four distinct income bands (30%, 50%, 60%, and 80% AMI) and RMI will only rent to people who income-qualify at those rates. Even after the 15 years, there will still be a significant net increase of units “Below Low” (60% AMI and under). Rochester needs more senior, affordable housing in the southeast quadrant, and this project creates those units without asking the City for funding. The new rent structure will create a net surplus in “Very Low Income” units (defined as 50% Average Median Income and under) for the first 15 years of the new Cobbs Hill Village. There will be 30 units at 30% AMI and 42 units at 50% AMI for the first 15 years; this includes the existing 60 tenants and 12 additional ones. If any of the existing tenants move out before 15 years, the tenant who replaces them will pay the same rent. I believe that the current proposal presents the best opportunity to maintain long-term housing for seniors at affordable rates in the southeast quadrant. Rochester Management can not turn these into market-rate units; RMI is a non-profit housing organization that is focused on senior, affordable housing. Their mission, not individual gain, is driving this proposal. There is no developer fee, and no individual will profit from this proposal. Moreover, they are not asking for any City dollars. This project will improve the quality of housing and increase the number of affordable units, and ensure greater access to quality housing in Cobbs Hill Village for those who most need it. That is why I am voting in favor of the legislation, but after listening to so many of my constituents, I recognize that it doesn’t mean the proposal is perfect. I wish that the proposal wouldn’t reduce the number of “Very Low Income” (50% and under) after 15 years. This process has clearly demonstrated that Rochester needs more units at 50% and under, and I will advocate for that to be an area of focus in all future development. I wish that the proposal had the support of nearby neighborhood associations and block clubs. This process has confirmed the importance of open dialogue between developers and neighbors, which I will continue to push for in all future developments. This piece of land was first zoned residential in the 1950s because of an emergency shortage of senior, affordable housing, and that shortage has only become more dire in recent years. We need more senior, affordable housing than ever before, and I believe we specifically need it in the southeast quadrant to help deconcentrate poverty in Rochester. I won’t let perfect be the enemy of good. This is not a perfect project, but it is the right thing to do for Rochester’s low-income seniors today and tomorrow.